In collaboration with West Midlands Police, Birmingham LGBT is holding an open meeting for LGBTQ community members to discuss recent concerns affecting and impacting upon LGBTQ people including the events at Parkfield Community School and the recent hate crimes in Yardley Green. 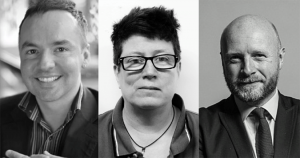 The meeting, which is free to attend and open to all LGBTQ people and allies, will be held at 6pm this coming Thursday at the Penthouse, which can be found above The Loft Lounge , 143 Bromsgrove Road – in the heart of the Gay Village. Community leaders and the police will be on hand to offer advice, reassurance and information with respect to matters including Parkfield Community School, the No Outsiders programme, LGBT hate crime including the recent incidents at cruising areas around the city, community cohesion and public safety. The meeting will conclude at 8pm. For more information about this meeting, please contact James Wharton at Birmingham LGBT on 0121 643 0821.